Counting the days? So is Little Bear. He’s so excited. We bet you feel just like he does! Don’t you think most stories are better with a bear? That includes books about Christmas. A kind big bear and a mischievous cub warm the cockles of your heart in this cute story. 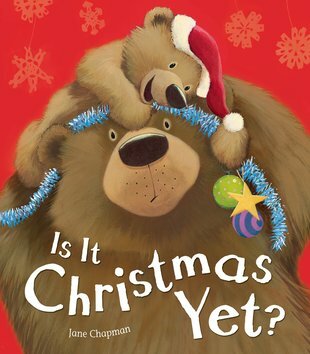 How many times will Little Bear ask if it’s Christmas yet? Um – probably about a hundred. But who cares when he looks so adorable in his red Santa hat? Jane’s delightful books include I’m Not Sleepy!